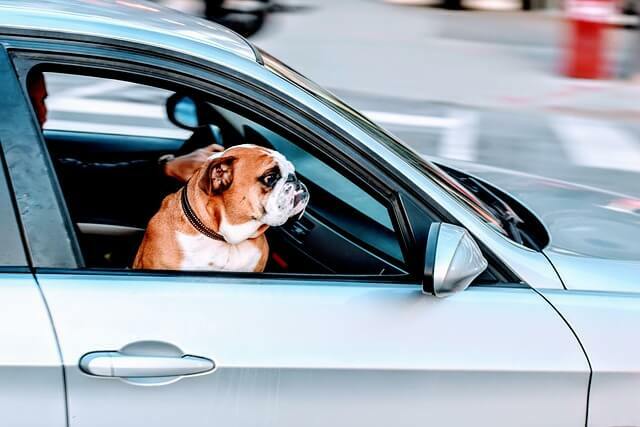 Can CBD Oil Help Your Dog's Anxiety and Nausea In The Car? Did you know that CBD oil can help your dog battle a number of ailments including nausea and anxiety related to car travel? These symptoms are often caused by a combination of psychological and physiological factors, making them especially difficult to manage. CBD oil offers a safe, holistic option proven to relieve physical tension and promote a calm state of mind. CBD stands for cannabidiol. 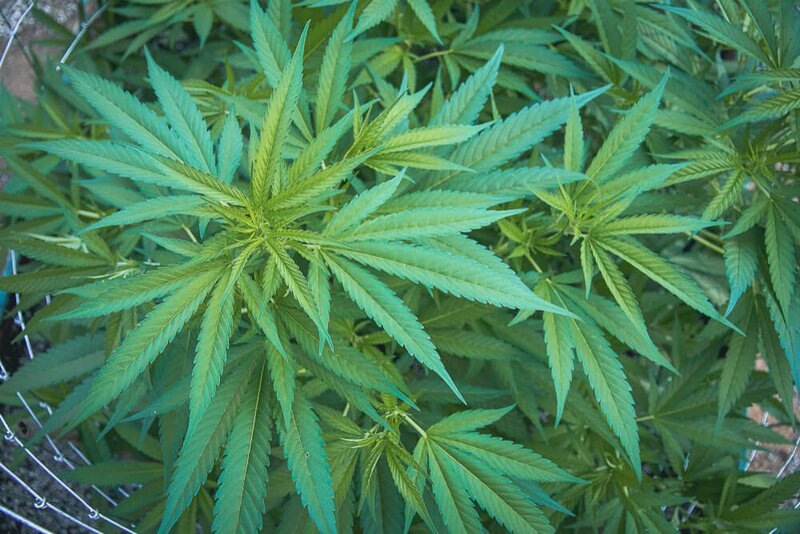 It is one of many chemical compounds called cannabinoids found within the cannabis plant. Only one of these compounds is responsible for the “high” associated with marijuana – tetrahydrocannabinol (or THC). Unlike THC, CBD is derived from hemp, a safer, more medicinal form of cannabis. In order to reap the benefits of CBD, the compound is isolated from the hemp plant and concentrated into an oil that can be given by mouth or drizzled over food. Scientific research has confirmed that dogs (and many other species) have the same natural cannabinoid receptors in their brains, nervous systems and organs as humans do. Known as the endocannabinoid system, these receptors are involved in physiological processes such as appetite, pain sensation, mood and memory. 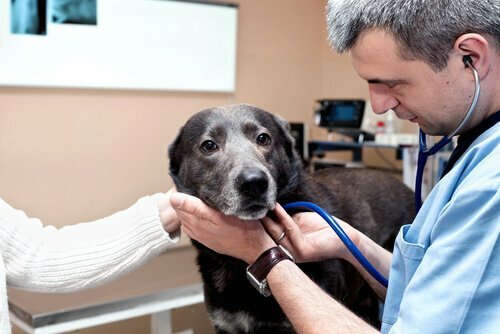 While most scientific testing has focused on the effects of CBD oil in humans with anxiety, the similarities between the endocannabinoid systems of humans and canines have encouraged researchers and holistic veterinarians to champion its use in pets. 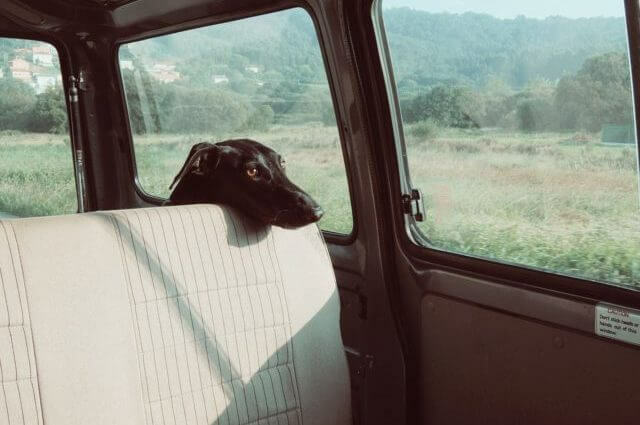 Many dogs are fearful during car travel because of the noise and frightening sensations associated with the vehicle itself, while others experience a combination of anxiety and physical car sickness. Extreme stress can actually manifest as nausea thanks to the vast majority of the nervous system being located within the gut. 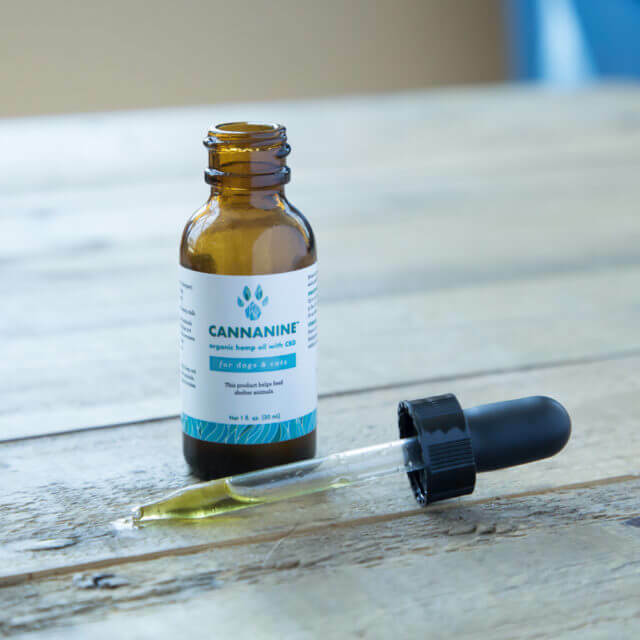 CBD oil has proven especially beneficial for easing nausea and anxiety associated with car rides, because it can be given in advance of the stressor, allowing it to take effect before the dog’s symptoms escalate. The CBD compound activates the cannabinoid receptors and stimulates the production of serotonin, a natural chemical in the central nervous system that promotes feelings of well-being and happiness. In addition to the nervous system, serotonin is also found in the gastrointestinal tract. By stimulating the body to produce more serotonin, CBD naturally soothes the nerves in the gut as well as the brain. Unlike anti-anxiety drugs, CBD oil is all-natural and less likely to cause unwanted side effects. Cannanine™ Organic Hemp Oil is derived from organically-grown Colorado hemp, which is legal in all 50 states. While most CBD products contain trace amounts of THC, Cannanine™ is 100% free of this controversial chemical. This is very important when using CBD for dogs, but can be hard to come by as the process of removing every trace of THC is quite expensive. In addition to its many benefits for your dog’s health and wellbeing, every purchase of Cannanine provides healthy meals for shelter dogs. 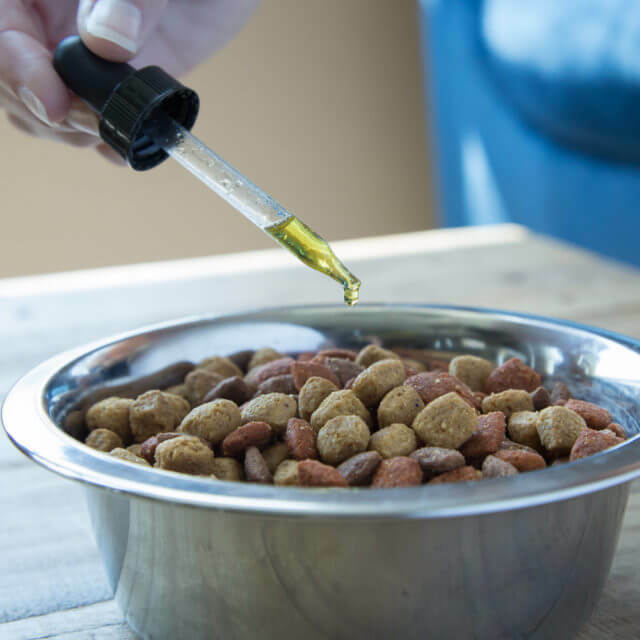 For more information on CBD oil and how to choose a high-quality product for your dog, check out our Ultimate Guide to CBD Hemp Oil For Dogs. Healing Without The High – What do dogs, cats and humans have in common with Cannabis?